Open Rails 1.3 has been released! A summary of the new and improved features can be found below. In addition, over 140 bugs have been fixed in this release. Please keep reporting bugs and suggesting new features so Open Rails can continue to imporve. This is the last version of Open Rails to support Windows XP; future versions will require Windows 7 or later. A full list of changes is available. P.S. 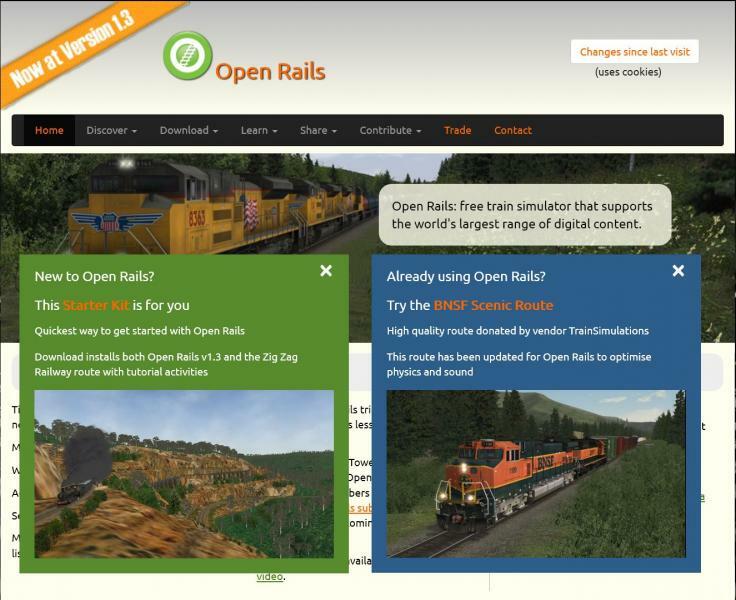 If anyone here frequents non-English language forums that would benefit from seeing the Open Rails release, you are free to copy the text above with links into other forums. Thanks! Those of us who upgrade our installations using the download link above may not have visited the Open Rails home page. If so, you will have missed the 2 new items there on the pop-up. These are intended to support new users and the routes both have installers for Open Rails v1.3 included to pre-load the routes and make it easier to get started. I welcome the donation of a free route from TrainSimulations (shortened but upgraded to Open Rails). Many thanks to Jason Dilworth for this initiative. Do take a look at Peter Newell's Zig Zag Railway route. Tutorials are not a new idea but we had to have a route which doesn't infringe Microsoft copyright and it also needed careful planning to deliver an effective tutorial for using Open Rails. Please try it out and give Peter some feedback on his tutorials. I do not currently have as much free time as I would like to use it, but I downloaded 1.3, it installed perfectly, and runs just fine!Nice work. Can someone point me to the discussion on activity extensions?